OCTYLDODECYL STEAROYL STEARATE, DICALCIUM PHOSPHATE DIHYDRATE, MICA, CETEARYL ETHYLHEXANOATE, CETEARYL ISONONANOATE, HYDROGENATED POLYISOBUTENE, OZOKERITE, CERA MICROCRISTALLINA [MICROCRYSTALLINE WAX], SORBITAN SESQUIOLEATE, CYCLOPENTASILOXANE, CANDELILLA CERA, SILICA, DIISOSTEARYL MALATE, POLYGLYCERYL-3 DIISOSTEARATE, SILICA DIMETHYL SILYLATE, CAPRYLIC/CAPRIC TRIGLYCERIDE, PARFUM [FRAGRANCE], RETINYL PALMITATE, TOCOPHERYL ACETATE, TOCOPHEROL, PROPYL GALLATE, CITRIC ACID (+/-) MAY CONTAIN: CI 77891 [TITANIUM DIOXIDE], CI 77491, CI 77492, CI 77499 [IRON OXIDES], CI 75470 [CARMINE], CI 77510 [FERRIC FERROCYANIDE], CI 77742 [MANGANESE VIOLET], CI 42090 [FD&C BLUE NO1], CI 19140 [FD&C YELLOW NO.5], CI 16035 [FD&C RED NO.40], CI 77007 [ULTRAMARINES], BISMUTH OXYCHLORIDE, MAGNESIUM STEARATE, SYNTHETIC FLUORPHLOGOPITE, CALCIUM SODIUM BOROSILICATE, TIN OXIDE, TALC. The Face Glow Cream Shimmer is the basic product for highlighting and glamming up the cheekbones, bridge of the nose and lips, for a healthy glowing red-carpet look. 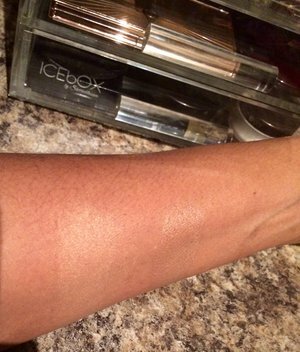 This cream shimmer in stick form is perfect for a fresh and glowing look. Its iridescent composition becomes homogenous with the natural texture of the skin, without cakeyness occurring and is suitable for all skin types. So this product give me butterflies like channing tatum did in Magic Mike. I mean where do I begin? It's pretty much the same as the shimmer powder but in a cream formula. Smooth, creamy, doesn't settle into fine lines, and pretty much rocks my world. You can layer these products for the ultimate healthy glow that makes you look 10 years younger! I got this in medium not knowing if it would work for my skin tone (NC50 in Mac) and it does a beautiful job. I'm so vain when I wear this, I just can't stop looking in the mirror. It gives me a golden glow that looks like a fairy kissed me. 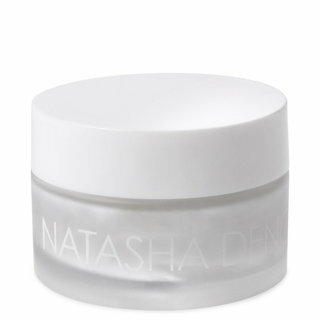 And it is a cream to powder that does not emphasize the pores or texture. Brilliant! Literally. I liked using it with beauty blender. I also got the powder in medium but don't like using it with the cream because it neutralized the golden-ness (I know, I made it up) of the cream shimmer. But the powder is great on its own. I love how subtle but impactful this cream highlight is! It's easy to wear, blends smoothly and it didn't accentuate my pores! I've worn it alone as a highlight for my no makeup makeup days and have also worn it layered as part of Natasha's whole system. I love it both ways! In general I've noticed that when I use it under a highlight powder it adds more dimension to the highlighted area and my highlight stays strong much longer. I use my ring finger to apply it to my face as opposed to applying it right to my face from the stick. 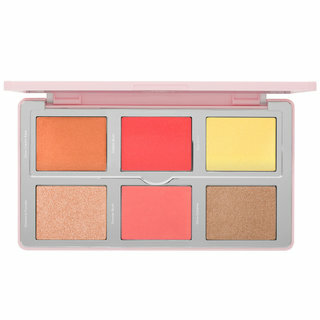 This high-lighter (like all Natasha Denona products) is a dream to apply. It goes on more smoothly and finely than other highlighting cream sticks, such as Nars Multiple. It is not greasy, and gives you a lovely "lit-from within" look. I am taking away one star because the cap isn't very secure, which makes it bad for travel, and this is just the thing I would want to throw in my bag for touch-ups. Otherwise wonderful. The product is really good， but I just can not believe the terrible design， guys be careful！once you twist out！it never goes back!!! Ok, I don't even know how to explain how it looks on the skin other than saying "wet". No, not oily and greasy, but wet! A good wet! I applied it using a damp beauty blender (to my cheek bones, brow bone, nose, above lips, just under bottom lip) and although it looked great on it's own, after topped with the glow powder, omg... Such gorgeousness!! I cannot rave enough! There is no sparkle or tacky looking sheen to the skin, it's just perfection. I prefer highlighters that give the skin a natural finish as opposed to a shimmery over done look. 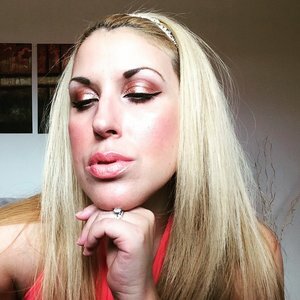 The shade 02 Medium(soft gold) gives my skin tone (Tom Ford 10 Praline mixed with 11 Warm Almond, Charlotte Tilbury Magic Foundation 9.5, Kevin Aucoin SX 13, Estée Lauder Double Wear 5W2 Rich Carmel) a beautiful natural golden glow. I also purchased shade 03 (taupe/rose gold) and although I don't prefer it over the 02, it makes a beautiful blusher, eyeshadow and/or to pop in the center of a lip stick. 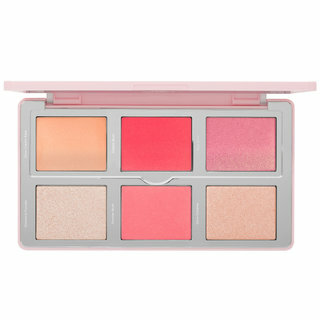 The highlighters have a creamy moist consistency that easily blends into the skin. When you put the top back on the highlighter stick it is a bit messy; I took a butter knife and trimmed off the top layer which helped and put the product in a small makeup pot that I can use when traveling. I am very pleased with this product and is a mainstay. 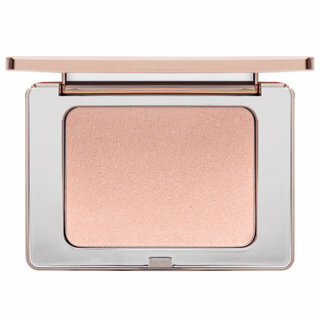 A beautiful cream highlighter (01 Light) without any glitter or harsh shimmer. I find the level of glow this product gives to be the same as the RMS Living Luminizer. It is very natural and soft. I've never ever had a worse reaction to a product. A few days after using this in the shade medium my skin looked inflamed it burned and became irritated from just touching it but only in the places I applied the highlighter. Washing my face gently and applying just moisturizer felt like a third degree burn for about two weeks. I even ordered another in the light shade because I thought I got a bad stick and I really wanted it to work for me but it's the same. I've experienced dry skin and sensitive skin before like most people but good skin overall. I've never had anything go wrong with my skin that causes serious pain until now. My friend happened to be with me when I opened my package so she tried it on as well and when I talked to her she had the same exact problem that I did! I had to use skin cream from a dermatologist to heal my skin. It's gorgeous on, hard to blend but not worth the pain and money.